This charming cottage is unique and luxurious. 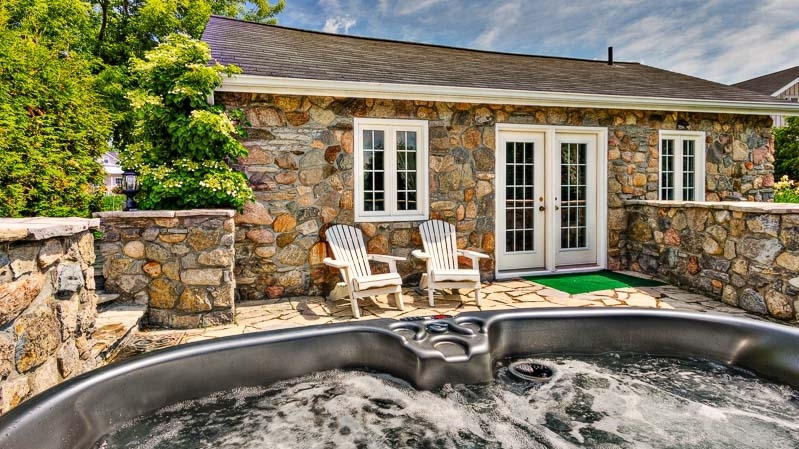 Located on property this private cottage feels like an oasis, with a private patio with a 2 person hot tub that overlooks the vineyard. Inside, the cottage is elegantly appointed with a fireplace and sitting area in an open space with stone walls making it the ultimate in romantic getaways or the perfect retreat.